I really enjoyed this novel. 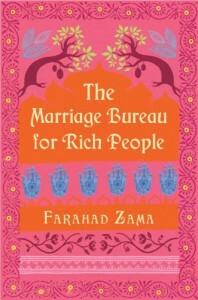 I didn't know anything about arranged marriages except basically what they are so I found the descriptions of families looking for matches and how well this often worked out very interesting. The characters were lively and and sympathetic and the story of the poor girl meets rich boy with snobby family reminded me a bit of Pride & Prejudice in terms of plot.